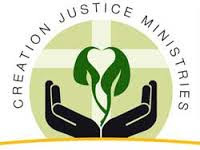 Out of the Wilderness: Building Christian Faith and Keeping God’s Creation is a downloadable resource from Creation Justice Ministries. The wilderness is deeply woven into Christianity and other faith traditions and was central to the spiritual journeys of Moses, Jesus and Muhammad. This resource strives to help in the modern day efforts to reflect peacefully and reconnect with the Creator through study, worship and congregational action. Click here to download. The Healthy Kids, Healthy Churches, Healthy Creation is a downloadable guide from Creation Justice Ministries. It seeks to provide Christian congregations and faith groups with an easy-to-use guide for initiating conversations in their communities about environmental health and how our consumer choices such as food, building materials, and personal care products impact human health and Creation. Click here to download the guide. Since 1939, Lutheran Immigration and Refugee Service has welcomed more than 379,000 refugees to the United Stated. They believe their work to be driven by God’s love for all people and a vision for congregations to be welcoming and generous centers for mission and ministry. Their work includes responding to people caught in conflict and facing persecution, advocating for their needs and interests, helping people access resources for basic human needs, working with foster care programs for minors, legal assistance, developing new and innovative service programs and partnerships, and much more. To read more on this program, click here. The Evangelical Lutheran Church in America has adopted the ELCA HIV and AIDS Strategy and called on members to respond faithfully and effectively to this pandemic. They aim to halt the spread of HIV through effective prevention, treatment and care, to eliminate the stigma and discrimination experienced by those who are HIV positive, and reduce the conditions of poverty that contribute to the spread of HIV. To read the ELCA’s brochure on their strategy on HIV and Aids, click here. To read their worship resources for World AID’s Day which is held each year on December 1, click here. Over the past five years, the Evangelical Lutheran Church in America has worked to save lives impacted by malaria. They have educated 2 million community members, distributed 50,000 insecticide-treated bed nets, tested 160,000 people for malaria and provided treatment if positive, trained 10,000 local volunteers in prevention and treatment, empowered 12,000 households to be economically stable, and provided 32,000 pregnant women medication. To read more on how they achieved this and their future work, click here. Lutheran Disaster Response brings God’s hope, healing, and renewal to people whose lives have been disrupted by disasters in the United States and around the world. They strive to provide emotional and spiritual support, coordinate volunteers through their local affiliates, assist refugees in a holistic way, and provide long-term recovery efforts. They are currently assisting with the drought in Africa, flooding in West Virginia, refugee crisis in the Middle East, and more. To read about their specific projects and more about the Disaster Response project in general, click here. In 2015, The Evangelical Lutheran Church in America Word Hunger held Walk for Water which was a youth-led fundraiser challenge to raise 500,000 dollars for water projects around the world. They exceeded their goal and raised one million dollars to support water related projects. Their website offers facts and tool kits to help others start their own walk for water; click here to learn more. elca.org/The Evangelical Lutheran Church in America World Hunger is an initiative with domestic and international Lutheran churches to reach communities in need. They recognize the universal human right to food and work to provide immediate relief to those who are hungry. They strive to not only give food, but to connect people with the resources they need to produce food and gain access to clean water, education, health-care and sources of income. 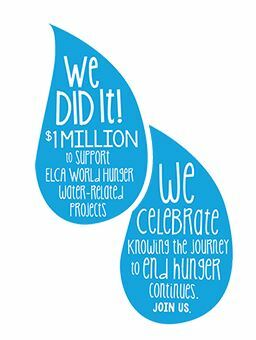 To read more about the ELCA and their work with World Hunger, click here. Jared Patrick Boyd is a pastor (Vineyard USA ), spiritual director, and founder of The Order of Sustainable Faith, a missional monastic order for the 21st Century. He is the author of Invitations & Commitments: A Rule of Life. He and his wife have four daughters, and are planting and pastoring Franklinton Abbey, a new faith community on the west side of Columbus, OH. To read more on The Order of Sustainable Faith, click here. Tony is the director of Catholic Social Action of the Archdiocese of Cincinnati. He helped the Catholic Archdiocese of Cincinnati form a network of climate change leaders. He inspired leaders by connecting their faith and climate solutions. Through a partnership with the Greater Cincinnati Energy Alliance (GCA) 10 archdiocesan parishes, schools, and other facilities received over $290,000 in incentives to implement over $1.4 million in energy efficiency upgrades. Though Tony has had much success with climate change initiatives he still wants more people in the Archdiocese to make climate change a priority. “We took climate change out of a political conversation and put it into a personal values conversation.” Click here to learn more about Tony and the work that he’s done. To Go Forth Blog which is a blog of the United States Catholic Bishops’ Department of Justice, Peace and Human Development (JPHD).